Right off the bat, you might notice that the vocals on this disc sound very familiar. 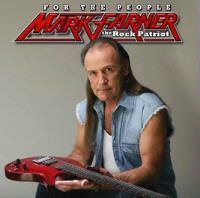 That’s because Mark Farner was the main voice of Grand Funk Railroad (along with the guitarist). That might lead you to believe that the music on the CD will sound like GFR. In some cases that assumption is correct, but Farner has grown as a musician and songwriter over the years and GFR is not the only idiom in his arsenal of sounds. Make no mistake, the disc certainly fits well under the banner of classic rock, just like that band. Fans of GFR should really enjoy this disc, but so should anyone who enjoys solid 1970’s tinged rock. I suppose anyone that fits under that heading would probably qualify as fans of Grand Funk, though. Either way, it’s great to hear this voice performing strong music for the new millenium. I certainly enjoy this album, and I’ll bet you will, too. Farner kicks off the disc with the title track. It comes in with percussion and then powers up to hard rocking cut that definitely has that GFR style. The lyrics are a strong commentary of how the United States has lost its focus on “for the people.” While not brutal, they are scathing and should resonate with a nation of “paycheck to paycheck” Americans. This cut really feels like it could have come from any number of vintage Grand Funk discs. It’s a smoker and a great opener. Lest we think Farner forgot about the funk, this one starts off with a cool funky grind. It drops back after this introduction to another vintage sounding number that’s one more sheer winner. This one is slower and bluesy, but no less a success. It has a couple guitar solo breaks that really smoke. The retro sounding keys are another nice touch. So is the quick reprise of the funky textures later. A change of pace from the blatant GFR sounding tracks, this one has almost a Latin bluesy feel to it. It’s a cool classic rock groove. While it might not be as obvious as the previous numbers, it’s no less potent. Here we get a more laid back, still a little bluesy, ballad. This one is the first false step on the disc. Mind you, it’s not really because of the song writing, but due to a little too precious feeling on the arrangement. Still, this only really affects the early portions. As this gets more involved the layers of sound and emotion pull it up from where it started. I wouldn’t say this is a favorite, but it wouldn’t be something that I’d skip over either. The tasty guitar solo later helps a lot, too. A more melodic musical approach leads this off, feeling almost prog like in some ways. Overall, though, this is a somewhat folky rock ballad. It’s another that doesn’t really standout, at either end of the spectrum. Now this is more like it, a heavy, pounding bass line leads this off. As it comes out from there with a stripped down, but still rocking arrangement for the verse Grand Funk is engraved all over this. While not a full rocker, this is another highlight of the album. As Monty Python would say, “And now for something completely different.” A jazzy arrangement, complete with saxophone leads this one off. As it drops into the song proper we get a soulful, Motown like ballad arrangement that’s quite strong. While this isn’t my favorite type of music, it’s done with so much style and conviction here that it’s hard to avoid falling in love with this one. The sax gets a stirring solo later in the cut. Drums lead this off and the cut launches out into one of the fast paced rockers on show here. While it’s not overtly Grand Funk like, you might hear echoes of that song here. The overall tone, though, is classic late 1970’s pop/rock. It’s another winner on a disc that has no shortage of them. There is some more killer guitar work here, too. I could hear 38 Special or another band like that doing this in the day. Starting with sound effects, this one quickly shows itself to be nothing like the other material on the disc. It’s more of a keyboard based jam that feels a lot like some of the more moody of GFR’s catalog. This is one of my favorites on the disc, and just plain a great song. Here we get a hard rocking grind on the introduction with more of that saxophone. It drops to a more mellow approach for the verse and carries on from there. The vocal arrangement on this, along with some of the instrumentation make this another track that feels a bit like neo-prog in some ways. It’s another highlight, if a bit unusual. A bouncy, keyboard dominated approach leads this one off and serves as the backdrop for the song proper. It’s another politically motivated number. 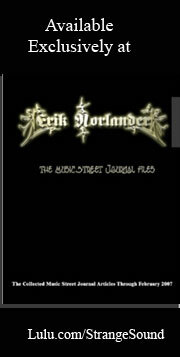 It’s also another that has a classic rock texture and contains some elements of progressive rock. It’s also one of the strongest numbers on show, although it might not be the most obvious choice to end the disc.